Weinmann was located in the city of Schaffhausen and is a large Swiss manufacture of bicycle parts and supplies many bicycle firms. During the 1930-1970s Weinmann supplied rims, both tubular racing and clincher type city rims. They also made side pull and center pull brakes. 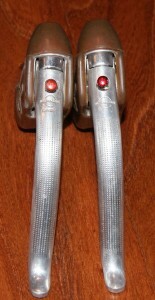 The 1930s and into the early 1950s side pull were quite common for racing use. By the mid 1950s Weinmann was manufacturing their famous Weinmann Vainqueur Model 999. The set on the left show the name anodized onto the face of the caliper. These brakes required front and rear cable guides/stops which often came with a quick release mechanism that is handy for easier tire removal. Here is a set of the name embossed or stamped onto the face of the caliper, again Weinmann Vainqueur Model 999 center pull calipers. There were two lengths made to handle the reach for the front and the rear. 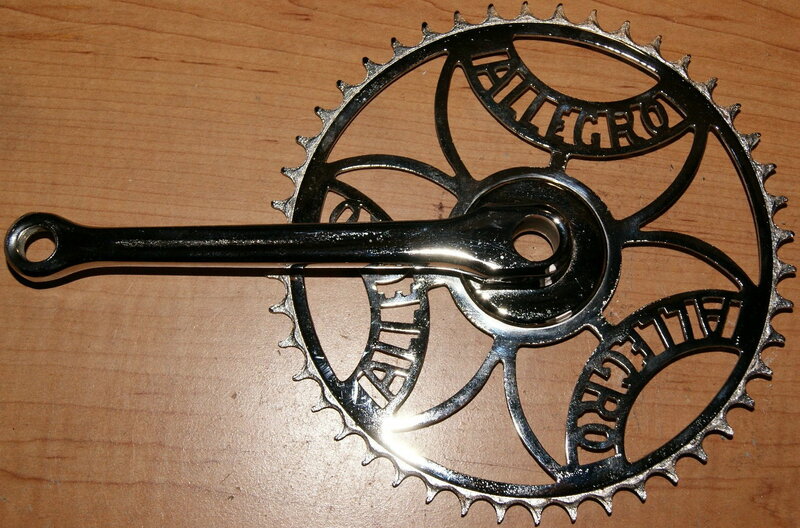 Additionally note the single return spring and dual return springs used shown in the photo below. The change from single to dual spring occurred sometime in the early 1960s. 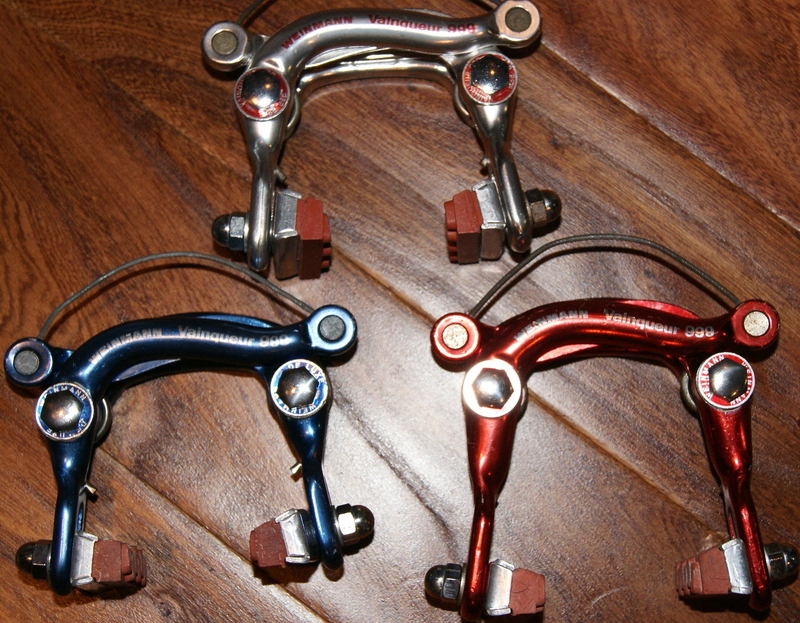 Weinmann brake levers came in a variety of types and logo stampings. The name Weinmann with a circle in the middle of the name was an early style. 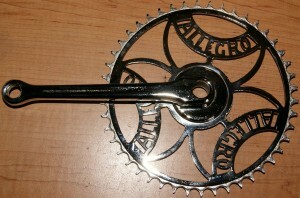 The stamping first was noted at the top front of the lever as shown on the right. 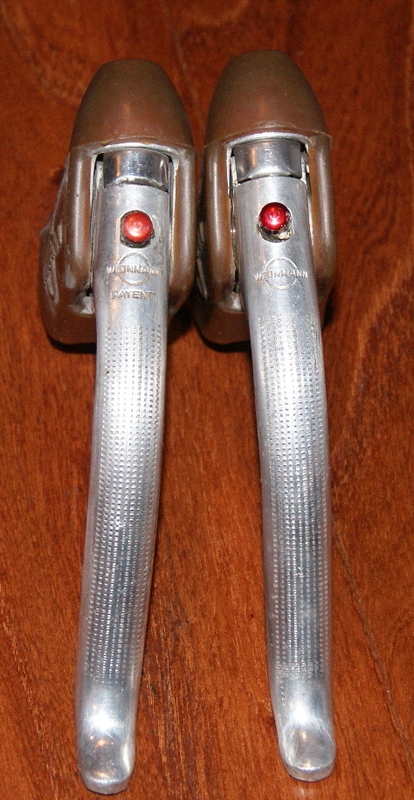 A later lever on the left is down somewhat from the earlier brake lever. 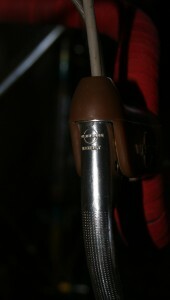 Note the cable adjusters at the top of the brake lever, a common adjuster. 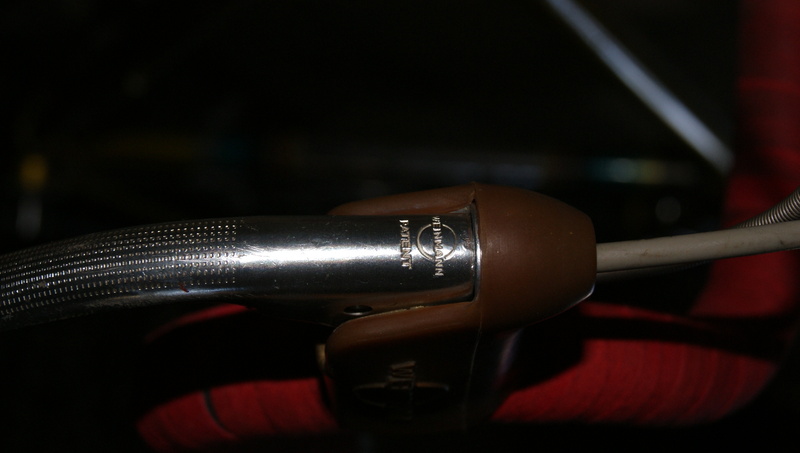 A quick release with a red button at the front near the top of the lever was designed to aid in wheel removal by allowing the brake to quickly be opened to a wide state allowing the tire to be removed fully inflated. 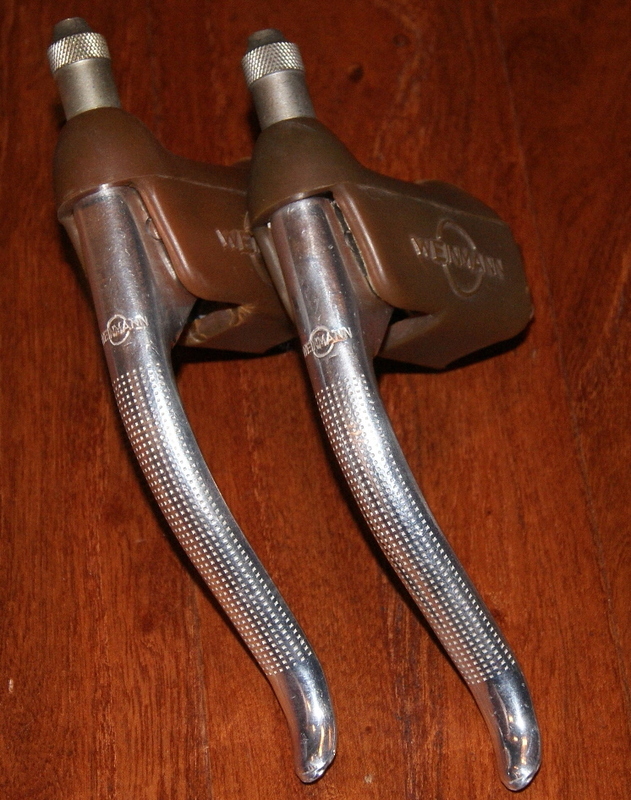 By the 1970s an even later logo of Weinmann name inside of an oval and still later, possibly in the 1980s the name of Weinmann spelled vertical in a long shield much like early Campagnolo levers. Typical washers found on the Weinmann brake calipers. The name of Weinmann and the Vainqueur Model 999 used on the Top of the line center pull caliper.